Pay your respect and express your great appreciation to a deeply loved one by choosing an unique funeral arrangement of beautiful and fresh flowers. 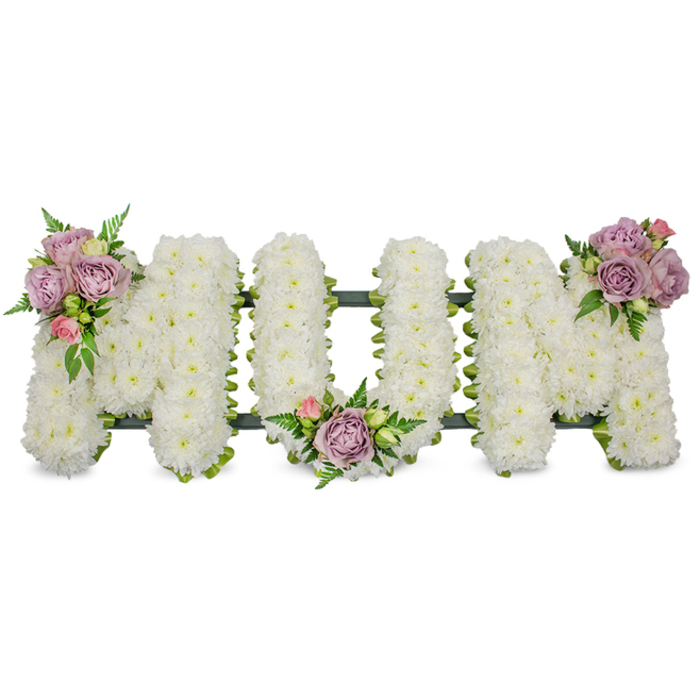 This elegant tribute is a combination of white chrysanthemums, purple and pink roses that is created to offer comfort and show sincere love. It was hard to choose the flowers, not because I couldn't find beautiful arrangements but because of the sad occasion... I am very grateful for the impeccable service and delicate flowers. Beautiful flowers, highly recommend, very easy to deal with. Lovely arrangement with soft and delicate blooms. It was delivered on time for the funeral. Thank you. The best company to deal with in those difficult times. They are quite understanding and have the friendliest attitude. Your help is much appreciated! The flower tribute was delivered in the morning just as requested and the flowers looked amazing. There was nothing to complain about - easy to order, fast and prompt service. Thank you!